Let’s be honest – there’s no shortage of plastic manufacturers to choose from here in the UK. If you’re on the lookout for a firm to bring your plastic product to life, surprisingly enough it’s often not a case of which company is objectively better than another. More frequently, it’s simply a case of which one is best equipped to meet your specific needs. Here at Excelsior, for example, our specialism in roto-moulding products is almost second to none, which makes us the first choice for businesses looking to manufacture certain types of products, such as those in short product runs of 10 to 100. 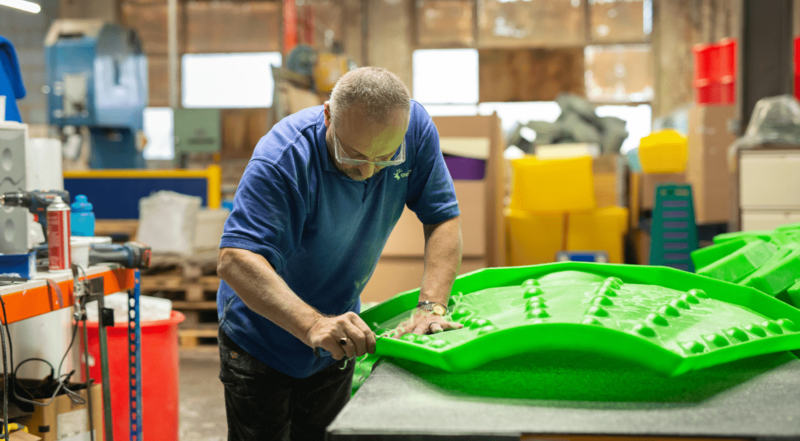 For mass-production on a larger scale, on the other hand, those same clients might prefer to look for an injection moulding plastics manufacturer. Knowing what you need versus what the company is able to provide is a key step in the process; the question of a ‘good’ plastics manufacturer often isn’t which one is better than another, but simply which one is right for you. Here are a few ways to narrow down your choices! There are a few things you’ll have to assess before you pick a plastic manufacturing supplier that can meet your needs. Can they make something as large or as small as your part needs to be? In many cases, particularly small products tend to be better suited to injection moulding, whereas larger parts can be more easily made by rotomoulding. Is the manufacturer able to guarantee the sort of tight tolerances you want? If not, is it worth reconsidering your definitions? Are they able to work with the plastics you want the product made out of? If you intend to ship your product abroad, it’s worth checking that the supplier is able to meet the relevant international standards. While price is obviously always going to be a reasonably big factor in your decision, as with many other things in life, the cheapest company isn’t automatically the best value. You’ll need to take the lifespan of your products into account, and what you intend them to be used for. To use safety steps as an example again, since these are safety-critical, it’s often worth investing a bit more with a company which is able to guarantee a longer product lifespan, rather than a company who is able to get the best price per unit for your order volume. If you need a large volume of products to meet a certain deadline, on the other hand – for example promotional items – then a better price per unit may well be your priority. Again, it all depends on what works best for you. Don’t forget to give yourself a bit of extra flexibility when it comes to your budget. If you have a rough design but want them to determine how the final product could be made, certain organisations may charge more for the overall project because of the engineering expertise that goes into this. Here at Excelsior, we have a long history behind us of delivering high-quality products made to specific deadlines and budgets. If you’re not yet sure what you need from your plastics manufacturing company, we’re only too happy to help you work out the details, and whether rotomoulding is right for you! You can take a quick look through our case studies, or simply give us a call on 0161 765 2010. We’re here to help!